Is there an NLCD fact sheet? 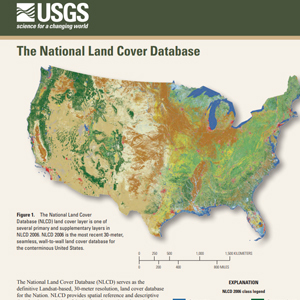 Yes, view and download the National Land Cover fact sheet. Who are the MRLC Consortium Partners? How can an agency become an MRLC partner? Agencies interested in becoming an MRLC consortium agency can contact the USGS/EROS Data Center MRLC Coordinator (homer@usgs.gov). The consortium welcomes additional federal and state partner agencies interested in assisting in either the population of the Landsat database or collaboration in developing the Land Cover database. MRLC1992 represents the original members of the Multi-Resolution Land Characteristics (MRLC) consortium, which consisted of the U.S. Geological Survey (USGS), Environmental Protection Agency (EPA), National Oceanic and Atmospheric Administration (NOAA) and the U.S. Forest Service (USFS). Later joining the consortium were the National Atmospheric and Space Administration (NASA) and the Bureau of Land Management (BLM). This consortium purchased 1,363 Landsat 5 images from 1992-1995 over the conterminous U.S., which were used to generate land cover for NLCD92. 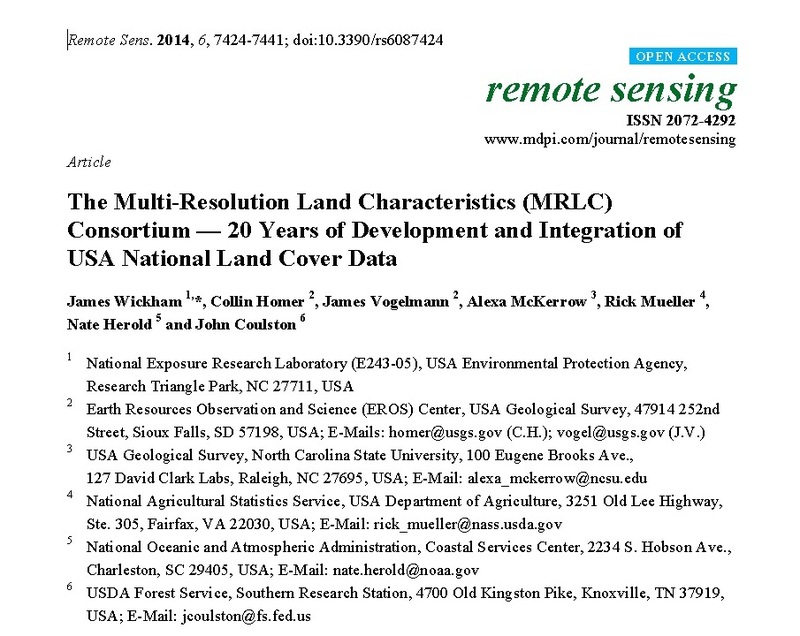 MRLC2001 is a consortium of nine federal agencies (USGS, EPA, USFS, NOAA, NASA, BLM, NPS, NRCS and USFWS) whom joined together in 1999 with 2 main goals: the acquisition of three dates of multi-seasonal Landsat 5 and 7 images per path/row processed to national standards, and the creation of a second generation National Land-Cover Database (NLCD01) covering all 50 states and Puerto Rico. This Landsat image database now covers 1,780 Landsat path/rows and is re-sampled to an Albers projection. Two types of image products are available including Terrain Corrected only and Terrain Corrected/At-Sensor Reflectance adjusted. 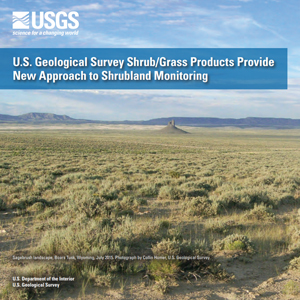 Both Terrain Corrected and Terrain Corrected/At-Sensor Reflectance products are available from the USGS Earth Resources Observation and Science (EROS) Center.